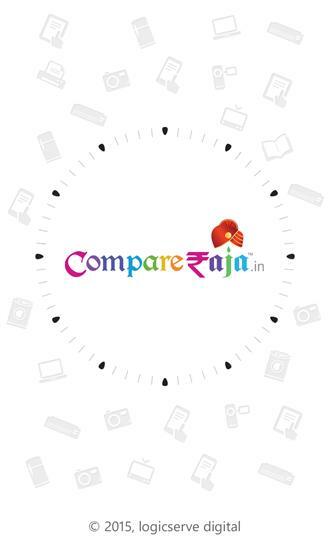 CompareRaja.in is leading price comparison App for India. The App lets you compare prices for 1000s of products from various categories ranging from Mobiles, Tablets, Laptops, Cameras, Camcorders, Laptops, Hard Disks, Microwave Ovens, Washing Machines, Refrigerators, Air Conditioners (ACs), Televisions (TVs), Printers, Books & more. You can compare prices of popular eCommerce stores like Flipkart, Amazon, Snapdeal, ebay, HomeShop18, Infibeam, IndiatimesShopping, Shopclues, Paytm, ManiacStore, TheMobileStore, Croma Retail and more. In addition, CompareRaja’s mobile App for price comparison also provides available discount coupons (powered by Couponraja) that add to your savings while shopping online. It doesn't end here! You can also browse fashion apparels and accessories for Men, Women and Kids like Clothes, Footwear, Bags, Belts, Watches, Sunglasses, Perfumes and more. Key features of the App: • Price Comparison: Compare prices of 15+ product categories like Mobiles, Tablets, Cameras, Laptops, Hard Disks, Refrigerators, TVs, ACs & more • Feature Comparison: Compare specifications of Smartphones, Tablets, Phablets, Cameras, Laptops & more so that you can pick the best product to buy. • Product Reviews: Read authentic expert as well as user reviews and take informed decisions. The expert reviews are fetched from authentic review sites. 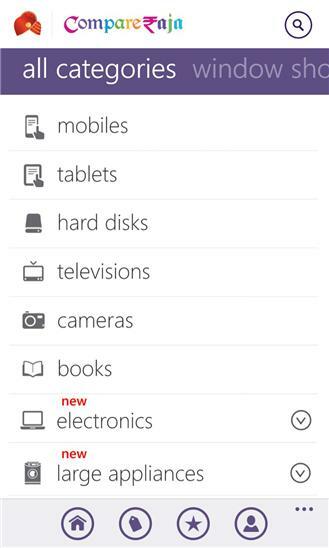 • Product Filter: Refine your search with option to filter by brand, price, type etc. This helps you to zero down on the options that best match your requirements. • Discount Coupons: Get available coupon codes (powered by Couponraja), deals and offers for online shopping. The section includes discount coupons from Jabong, Myntra, Flipkart, Snapdeal, Amazon, Domino’s, PizzaHut, Lenskart, Paytm, FernsNPetals, Yatra, Musafir and hundreds of more online stores. • Price Alerts: Get price drop notifications via email so that you can buy your favourite product at a desired price level. • Favorite Products: Add a product to your favourite’s list and get quick access to the same whenever you open the App next time. • Window Shopping: Browse fashion apparels and accessories for Men, Women and Kids. This clothing, footwear, bags, wallets, watches, sunglasses, perfumes, watches, gift sets, jewellery and more items. Why use CompareRaja app to compare prices? Our price comparison App is fast and easy to use. The sellers listed in the App are one of the most trusted and authentic ones for online shopping and sell genuine products. The App has a most comprehensive list of latest products and their prices along with discount coupons which helps to save time as well as money. Our competitors: Junglee, Smartprix, Buyhatke Thanks for making CompareRaja one of the most popular price comparison app! New update includes: • Get notified for latest deals & offers • Minor bug fixes If you like this version as well, rate us on the Windows store. Thank you in advance!